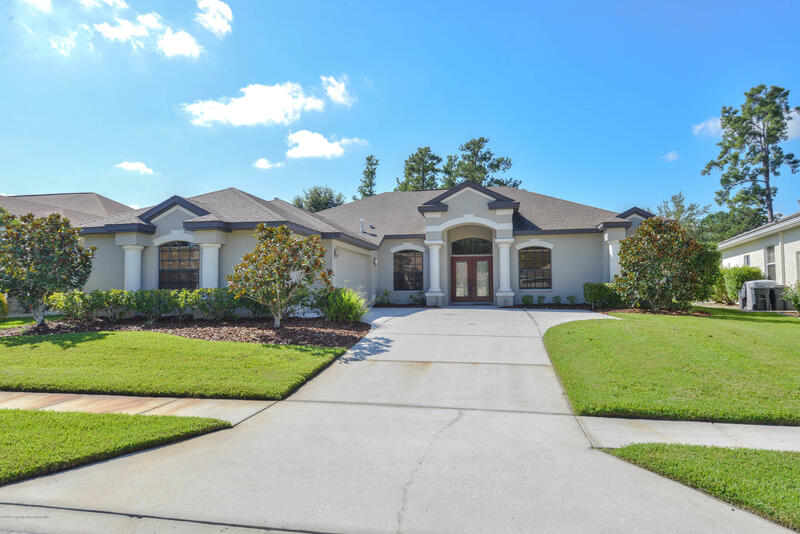 The prestigious gated community Of Hernando Oaks is perfect for the avid golfer. It includes a golf course, pro shop and restaurant. A mixture of tile and carpeting flow throughout the home. Plenty of windows fill this home filling it with natural light. The stunning kitchen is filled with real wood cabinets, smooth granite, a gas cooktop, built in oven and a center island. All of this overlooks the comfortable family room accompanied with a fireplace for warmth and appeal. Four bathrooms total in this home, one has access to the pool lanai. The beautiful Master suite has two walk in closets, and an attached bath with dual sinks, a jetted tub and separate shower. Panoramic views of the lake and the golf course from the privacy of your back porch. Too hot to golf? Take a dip in the pool! I am interested in 4101 Gevalia Drive, Brooksville, FL 34604.